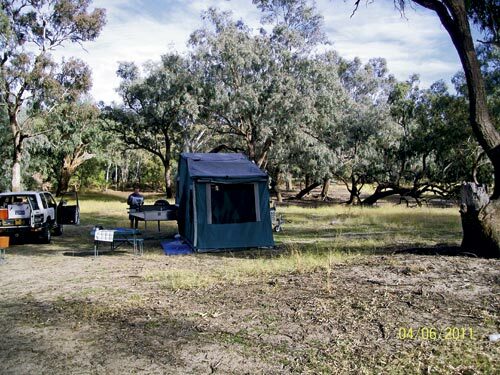 Long-time camping fanatic David Sweeney knows a thing or twoabout welding. 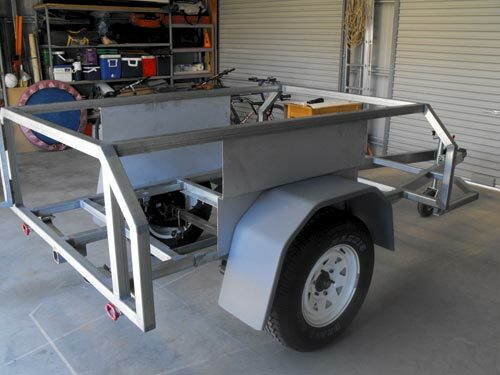 The Tamworth-based tradesman has taught panelbeating apprentices and trainees for more than 25 years, so when hedecided to build a camper trailer he knew exactly how it ought tobe done. 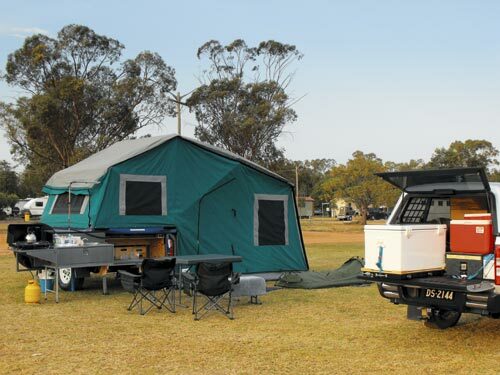 The camper had to be suitable for fishing trips, coastalholidays and desert adventures with his wife Kaye and their threesons. "I wanted something strong enough to support a tinnie but lightenough to tow offroad." said David. 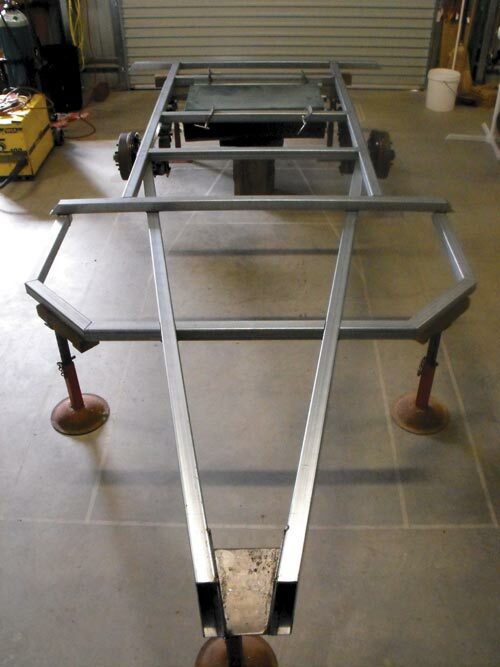 The plan was to build a steel space frame and incorporate weldedand bonded sheet metal panels to increase the structural strengthof the trailer, similar to what you would find in a current modelcar. are welded together helps give the main structure itsstrength." David chose 100x50x2.5mm Supagal for the drawbar, 50x50x2mmSupagal for the space frame, 1.6mm galvanised sheet for the floorand 1.6mm zinc annealed steel for the side panels, and set aboutdesigning the trailer around the gear. "I bought the running gear and components first. 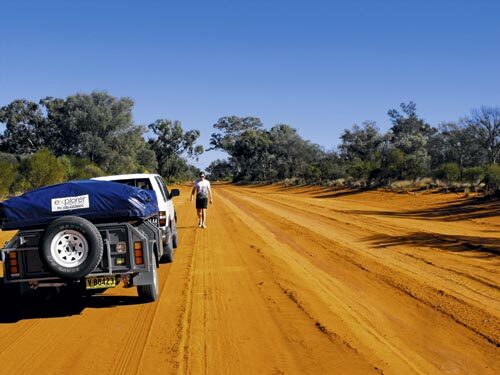 I wanted thecamper to follow the tracks of my 4WD, and the wheel rims and tyresto match my tow vehicle so that I always have two spares for theentire rig. "I needed to find the right axle before I could figure out thewidth of the trailer base and the location of the drawbar." David settled on a solid axle fitted with seven leaf reboundspring suspension and electric brakes over 16in rims. Initially, hecould do without power, but a water supply was essential so hepurchased an 85L water tank with plumbing for two outlets: one forthe kitchen and another for outside. "I also had camping gear that wanted to include like my 110LEvaKool icebox, which fits in the front box." David marked out the dimensions on the garage floor with maskingtape to check that the frame and body was square throughout thebuild and laid out the gear to determine where it would go. 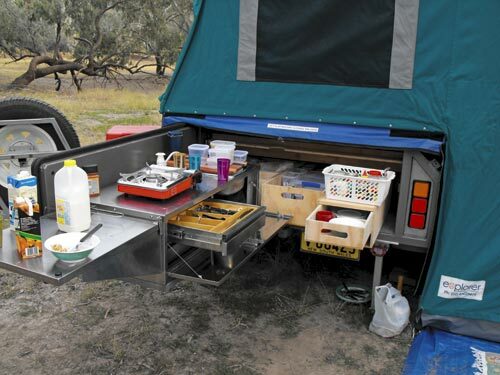 "I paid a great deal of attention to where the OzTrail kitchenwould sit, and made sure the tailgate would swing out without aproblem." 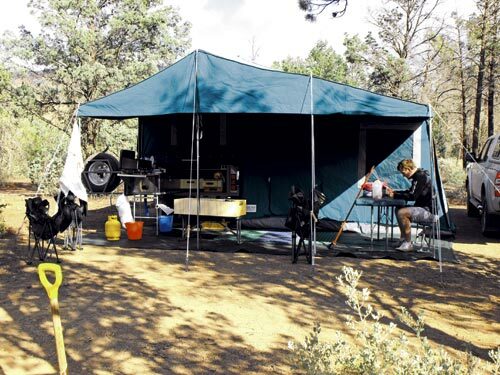 David researched bedbases and camper trailer tents to identifythe optimal size and drop from the bed to the floor, which helpedcement the width and the height of the frame. 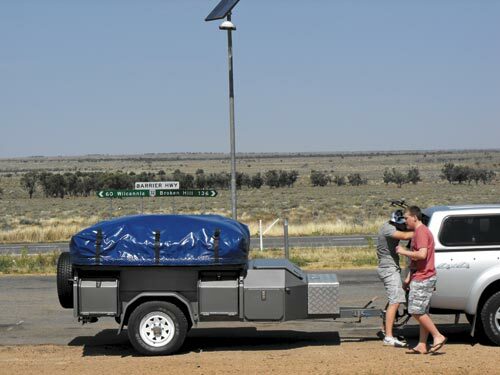 "Most camper trailer bedbases are designed to suit a 1.2x2.1mbox trailer." As the body frame dimensions took shape, David carefullymeasured each piece of 50mm RHS square, cut it and placed it out onthe floor like a jigsaw. He then tack welded it until he wasconfident that all the dimensions were correct. David cut and folded the steel to create the box sections in hisbrother Peter's workshop. 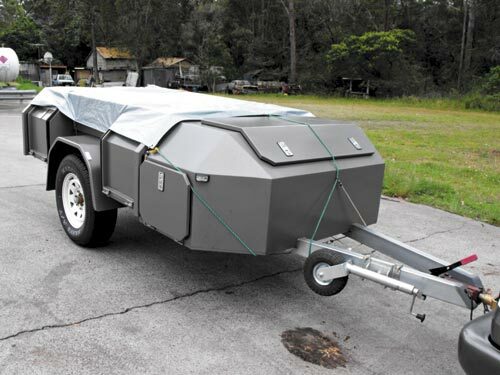 The next step was to attach the floor of the trailer and toolboxusing a high bond strength material which improved the camper'sstructural integrity and created a seal. 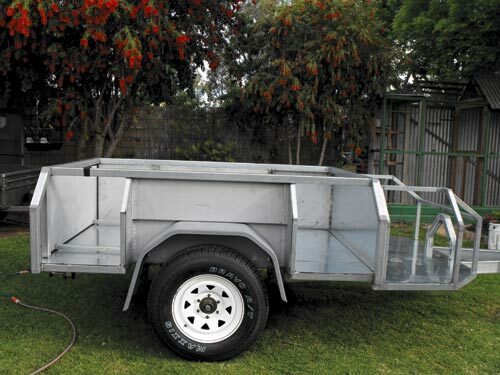 The remaining sides of thetrailer and toolbox were then fitted, with all the sections weldedand bonded for extra strength. 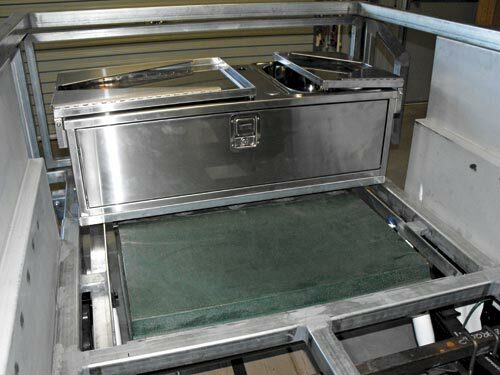 The doors and lids were built, the compression locks and pinchweld seals fitted and the trailer was prepared for paint. David made room for the spare tyre on the toolbox as well as theswing away spare wheel/bike rack to suit his requirements. 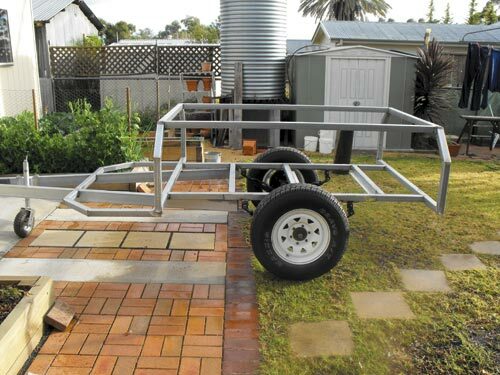 He builtthe boat rack for the 3.5m tinnie and allocated space on thedrawbar for the motor. 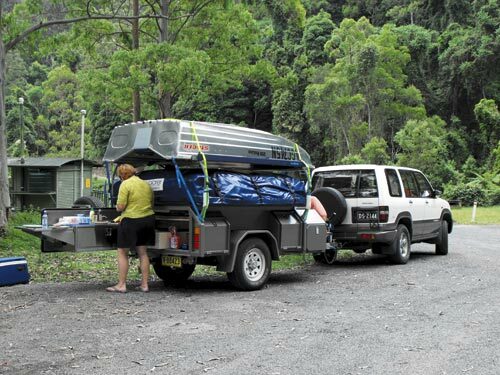 David fitted a removable checkerplate box atthe front for storing firewood or extra gear and fitted 4.5kg gascylinders and a 20L jerry can holder on the trailer's leftside. Although a great deal of effort and forethought had gone intothe trailer, many canvas producers met David's request for a quotewith some trepidation. 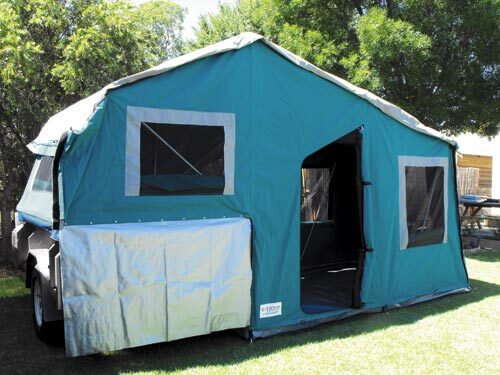 "A lot of tent manufacturers weren't interested in seeing theirtents on an untested trailer - for fear of damaging their name -until I showed them the photos of the trailer, that is." With so much thought and effort going into the build, Davidwasn't compromising on the tent. 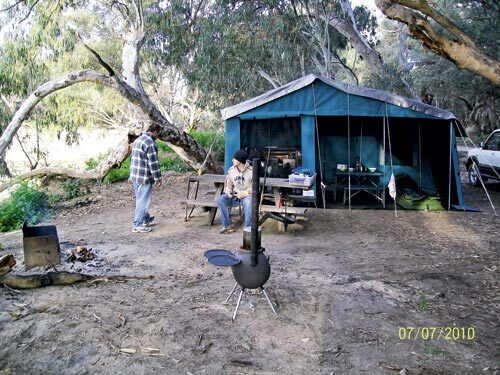 "I went with Explorer Campers & Canvas in Gosford. 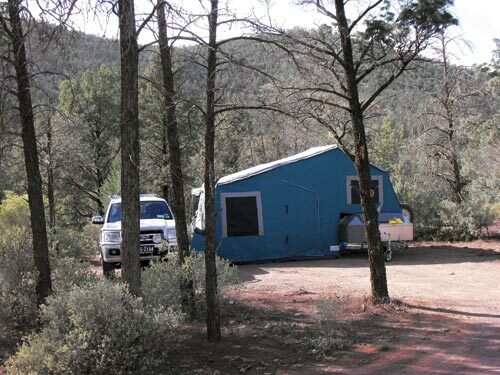 "They insisted on fitting the tent to the trailer - which iswhat I preferred." David liked the quality of the locally made and sewn canvas, thehigh canvas roof and the fact that all the windows open and closefrom the inside during inclement weather. The zip-on annexe wallswere also supplied in three separate sections rather than as onegiant full annexe wall. 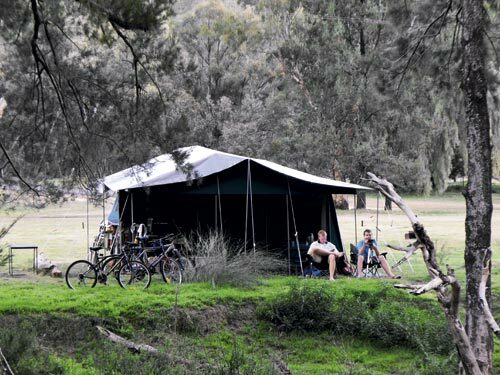 "I like the elastic straps on the tie downs on the canvas; thetent is always under tension but is flexible in windy weather." David estimates that the project cost him $13,000 - not badconsidering the trailer has been used on every holiday except barone since late 2009. "I am pretty happy with the overall result." 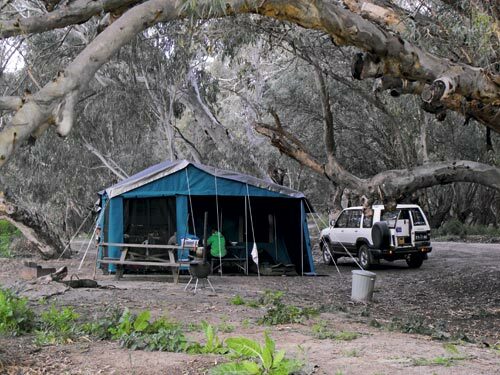 Since completing the camper in 2009, the Sweeneys have touredKinchega National Park near the Menindee Lakes, Sturt NationalPark, Warrumbungles and visited the coast about half a dozentimes. David reckons the pinch weld seals easily handled adeep crossing on the way to Tilpa from Wilcannia. Modifications include adjustments to the boat rack, longerstorage drawers in the kitchen and a new 12V LED lighting and powersystem, which includes five internal 12V outlets and a 100Ah deepcycle battery. "The biggest difference would have to be the 12V system. 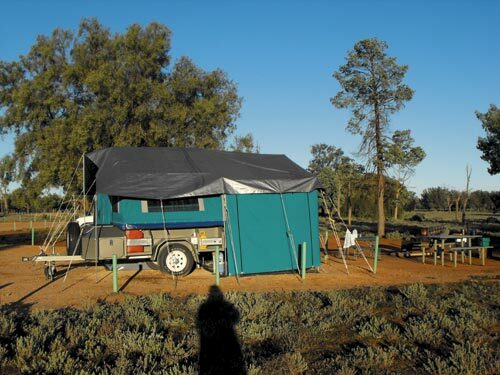 We used12V as well as a new hot water system on our last bush camping tripto the Flinders Ranges."